"Poor treatment of customers, excessive fees for out-dated program"
The price is far higher than similar products, the product is technologically behind (despite promises when I signed up for the product over two years ago that they had a demo and would have a final product any day now of a fully functional app for calendar integration, they still do not, and their calendar has many glitches syncing with Outlook, the only way to sync their calendar to a phone), and their treatment of customers is DEPLORABLE. For instance, I paid to upgrade to a feature which they said would remove a problem I was experiencing with their program, and when it did not fix the problem, they refused to downgrade my monthly subscription to my prior price/ service or refund my fees. They also told me I needed another license when I took on another employee, then when I discovered I was already paying for enough licenses, refused to downgrade me back to the correct number so I continue to overpay for multiple uses I do not need. I pay almost $700 per month as a solo practitioner now for a subpar product. Stay away from this company!!! Do not consider this product!!! This product does not solve problems that other programs cannot solve as well or better for a much lower price. My favorite features are the mail merge features plus calendaring/conflict checks. Another great feature is having all of our emails and notes linked to the client file. This eliminates a lot of time searching outlook as we can just go to the client and look in the emails. I also like the message slips feature - we use this in office and this too provides more efficiency and productivity. It's an amazing piece of software - try it! It's nice to have everything four our clients/cases organized in one place, excluding billing as we use other software. I love being able to select a client and a few clicks later I have the letter I need to write, all done. It's very efficient and saves a lot of time thereby allowing me to be more productive in the same amount of time. Also - by having the same calendar for the office, we avoid conflicts and calendaring snafu's. The contact information is extra handy as well because we don't have to look in multiple cases. As long as everything is inputted correctly - the program is a breeze and makes day to day operations easy. I like the simplicity of Abacus. It is easy to navigate, all of the tabs are one click operated. The daily tips are my favorite because that's how I have learned a lot of short cuts. Once you start using the system it's very easy to navigate and if you do happen to get stuck they have plenty of 'how to' video and tips. When the system glitches and screws up my calendar. Read the daily tips!! You learn so many shortcuts this way!! We are solving the big issue of organization but abacus definitely makes this easy to manage, especially since we can link client files directly to abacus. "Abacus Law is good for law offices, but wish it had better integration"
Great ability to track time and to keep the data together. The stop watch function works well for billing. It doesn't have any marketing capability. Really wish we could integrate with Infusion Soft so that it would work better with the overall flow of business. Also wish that the dashboard was easier to add customization. Really look at what you want to use this for, if it is just for case management and case billing than it is great! If you want to also market, it is not what is needed. It does not function as a CRM. We use this for case management and it allows us to track data, court dates, and most important (to me) time. The ability to contact people would be a great addition, or just a zapier integration would be so helpful! But as it is now we have to manually use the two systems. "Terrible service and undisclosed price increases." Abacus Private Cloud service worked well although we frequently ran out of space and had to pay more to increase server space. After 13 years of using Abacus Law we cancelled because the later releases were full of bugs. Each time we called customer service it took nearly an hour, often more. Some problems were never fixed. When we went to leave Abacus took over 2 weeks to provide their cancellation form. By then, we were too late to avoid an extra month. The contract went to a month-to month at nearly double the contract price WITHOUT any notice of the price increase yet alone notice in time to cancel without paying twice the price. They charged $940 to give us our data back from the cloud servers and $350 of that was to be refunded when the hard drive was returned. Its been over a month since they got the drive and have not refunded our money. Beware that they will increase prices without notice. Make sure you start the process of cancelling way before the 30 day notice period since you must use their form and they are very slow in providing it (they will wait until it is too late to cancel without an additional month's fees). We have been trying to resolve their charging us double without notice and their failure to refund the hard drive deposit. They have taken the position "we have your money so sue us - here in San Diego." We have made offers to resolve the dispute but they will not even discuss a compromise. There isn't much to like about this product. However, the calendar is easily readable and sortable by user. Conflict check function works well. Where would I begin? This product is extremely far behind its counterparts in the legal case management market. This product is not user friendly at all. Workflow set up is difficult. Tasks functions are complicated. Save your time and your wallet and look elsewhere. Run. Look elsewhere immediately. There are multiple options available that are easy to use and are more economical. This product looks like it was created in the late 90s and has had no significant update (to my knowledge) that has improved ease of use or functionality. Better options aplenty. Nothing. It does not make the practice of law in my office any easier. "Abacus -- Saving my life. " It keeps me organized, I know who I talked to on what cases because of the notes. Since we have three attorneys in the office, it lets us know (as long as everyone does the notes properly), what has happened on the case easily. I also love that my calendar will sync with my google cal, so I always have it on my phone. The message slips add-on. It never seems to work for an extended period of time. I wish it did, because its a great idea, especially since we have an attorney who works remotely out of state. This is a great product that meets all of our requirements as a firm. It can do everything that we need it to. While some programs may be flashier, this was the one that fit our requirements. We were using a d-base Client/Matter program prior to Abacus for almost twenty years - all of our client and matters were easily uploaded into the Abacus system and we did not need to reinvent the wheel. Abacus does many things for us, including but not limited to, Calendar, Client Database, Case Database, letters, accounting, and many other things. Calendar: All the users use the same calendar, so my calendaring secretary can put things in, and so can I. It syncs with my google calendar so I always know what is happening when I'm on the go. Client/Court Database: We can enter "names", which could be a client, court, or expert. Easy to search and link with matters. Matter Database: We can edit it so our necessary components are in the matter directory (including our file number, closed file number, docket number, and court, along with important dates), and it syncs with the calendar so that we know two different places about upcoming court dates or deadlines. "Perfect for litigation practice "
Helps track deadlines for motions, discovery deadlines for all parties, and conflict checks. 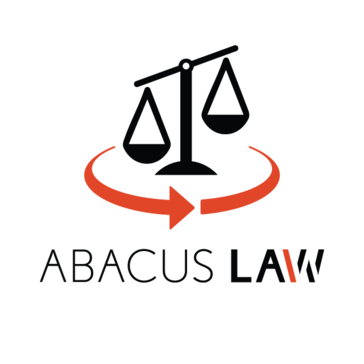 If you keep Abacus Law updated, it will be a great tool for any law practice. Difficult to make sure rooms are reserved; Abacus Law is set up to specific parameters - if a user tries to do a task without using all parameters, then the schedule will not click as desired. For example, if we wanted to reserve a room without any conflicts, and ensuring this won't happen through the popup alert when another individual makes an event, three different fields must be completed in order to reserve the area. Although this sounds mundane, it is difficult for individuals who are pressed for time or not technology savvy. Perfect for a small litigation firm. Will work if you put in the effort to learn the method. Abacus helps track deadlines to ensure that no discovery, motion, settlement, or any other deadline is missed. It also helps ensure conflict checks are thorough and apply to all individuals within the firm. I love the integration and how easy it is to easily move from the calendar to the client information. It is helpful for tracking deadlines within a case. The reports also make it easy to track client and case information for marketing and ROI tracking purposes. You have to have enough time to educate yourself if you want to get the most out of this program. If you do not take the time you could miss out on some of its best aspects. I wish it was more intuitive and could fit better into the budget for smaller law firms. If you want it customized for your needs, that costs an additional fee (again, unless you are willing to take the time to customize it yourself). Make sure you are able to take the time to get to know this software. If it is within your budget and you have enough time to familiarize yourself with all the helpful features, it can be a great asset to your practice. If you want something more intuitive that you can learn how to use quickly, this may not be exactly what you want. It is more intuitively designed than some other practice management softwares that are out there, but be prepared to spend time educating yourself if you want to get your moneys worth. It does make tracking a lot easier, so less clients, dates, or aspects of cases fall through the cracks. It provides quick access to client notes and information when needed. "Good user interface but freezes my computer a lot"
It is a good way to organize legal matters and associated names of parties, attorneys, clients, etc. It updates automatically and frequently as long as you close it every night. If you leave it open for too long it will freeze your computer and necessitate a complete shutdown without the ability to save things on other open applications (e.g., word). It will meet your needs. 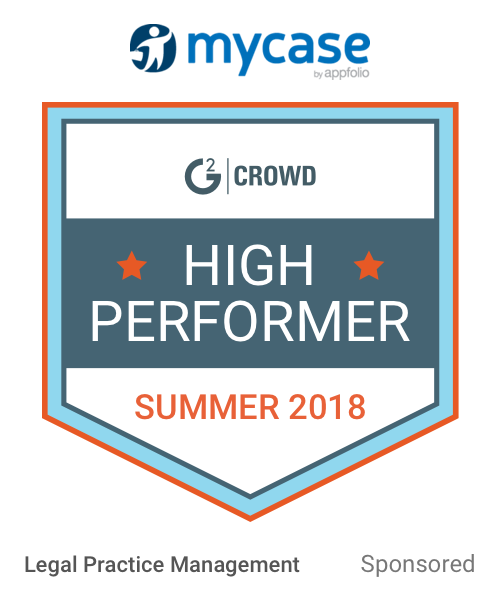 Every law firm needs a case management system. Abacus is just as good as the two I've used previously. Don’t have a huge use for this specific item in the abacus suite, unlike the billing software. I use the billing software everyday. If this is something you need, good product. I especially appreciate the billing software. "You only need Abacus for one thing (really)." I like that it works so well with Outlook. Formatting seems clunky, like an outdated version of Access. Law. I like that I can search a client and ALL of the communication, documents, notes, etc. are all in one place. "Very Detailed, and user friendly." I would have to say that what i like best is the Calendar feature. I cant say there is one particular thing I dislike. However sometimes when clicking too fast windows open in the background and you don't realized it. We use abacus as a complete docket for Our firm. It allows us to place items into the calendar and we run a 2 week calendar at a time. Super helpful! I like that it is a software you can run from your computer. I don’t like that it is a monthly subscription or that it is only for windows. Since moving to Mac I cannot use it. It is great for case management and billing and the fact that it is on a desktop makes it faster than all the bulky cloud management systems. Keeps tracks of court appointments. Great form builder. Also has a great feature where it calculates time per court rules. Sometimes a little slow. Difficult to search names sometimes. This system can do a lot for file and data management but be sure everyone has training and follows standard protocols. Excellent legal calendar origram. A little challenging to set up the way I want it - fonts etc. Calendar deadlines for litigation matters. File management. It’s a great system. Every employee is able to access each client's file and information. The billing system and the intake forms. It helps manage clients' cases regularly and keep everything up to date. Manages time well. * We monitor all AbacusLaw reviews to prevent fraudulent reviews and keep review quality high. We do not post reviews by company employees or direct competitors. Validated reviews require the user to submit a screenshot of the product containing their user ID, in order to verify a user is an actual user of the product. Hi there! Are you looking to implement a solution like AbacusLaw?